Today I would like to share with you some ideas about redesign. What do you do after a professional organizer helps you sort, purge, and set up systems of organization? Does all of this organization help you to see your space in a new light? Does it make you think about decorating or adding accessories, furniture, or artwork? Not only does an organized environment save you time, energy, and money, but rather it allows you to have the benefit of a beautifully designed space. Redesign is something some of our clients do after we organize. Redesign is the recycling of items, reuse, or the redesign of your space. For instance, when your room is organized you can try moving the furniture around or bringing items from another room into that room. Maybe you could add an area rug to define the space or some more lighting. Most rooms don’t have enough lighting and need at least 3 lamps placed in a triangle pattern around the room. Does your room have a focal point? If not you can create one. Some focal points can be the doors or windows, fireplace, built-in cabinets or shelves, television, unique furniture, large artwork or a grouping of photo’s, etc. After you create your focal point you will take the largest piece of furniture, for example-the sofa, and place it in a way which faces the focal point. After you move your sofa you can add all of the other accessories, artwork, rugs, lamps, and furniture. One more thing to keep in mind is symmetry and asymmetry. Symmetrically designed rooms have a more formal feel than asymmetry rooms, which are usually more relaxed and casual. So,the next time you have your professional organizer over be sure and ask them for some redesign solutions for your newly organized space! Basic Organization now offers Space Planning and Redesign for clients who want to re-examine their space as a DIY project or after organizing. All redesign clients will work with Tracy Wells. Tracy’s interest in organization and design began early in life. She earned her BFA degree in Interior Design. 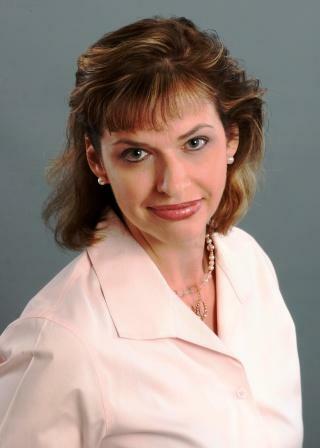 Her professional career has included business administration, along with wedding photography and Interior decorating. She enjoys helping others with any decorating, organizing, and design decisions because her passion is to help others live better and more positive lives. Reducing the clutter and chaos and making personal and work spaces more functional is a goal that Tracy strives for when she meets with clients. This entry was posted in Inspiration, Residential Organizing and tagged organizing, Redesign, Space Planning, Special. Bookmark the permalink.